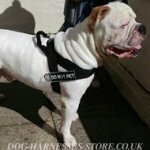 Do You Need a Dog Harness with Handle or Without It? 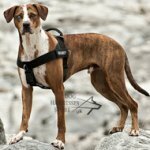 Not every harness is produced with handle because it depends on dog breed and purpose of harness use. 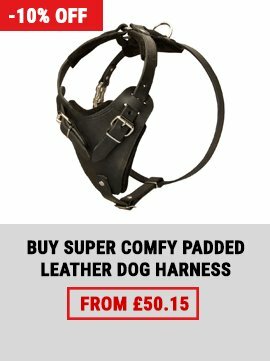 The harness serves for safe dog handling first of all. 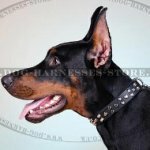 It doesn't hurt dog's neck if it pulls on the lead and distributes loads along its body evenly. 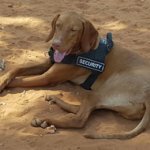 Dog harness is an essential attribute for dog walking, training, sport and work. 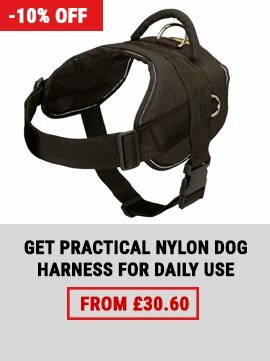 Let's find out which one you need for your dog with or without handle. 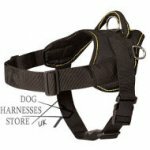 Dog harness with handle provides additional control over the pet. 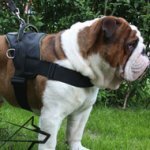 Such a harness is perfect for strong and active dogs, for dogs, which have some behavioral problems like pulling on the leash, aggression towards other animals and people and for very curios dogs. 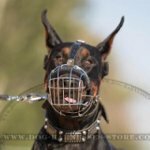 The handle will help to stop the dog when it is necessary and to prevent unpleasant, undesirable and even dangerous circumstances. You will be able to hold the dog close to you at any moment. 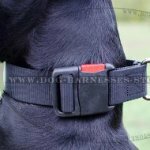 Moreover, the handle will help to cross the road with your dog safely. 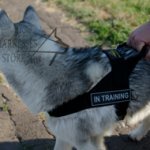 The harness with handle is also intended for working dogs, which are involved in attack, agitation and protection training. 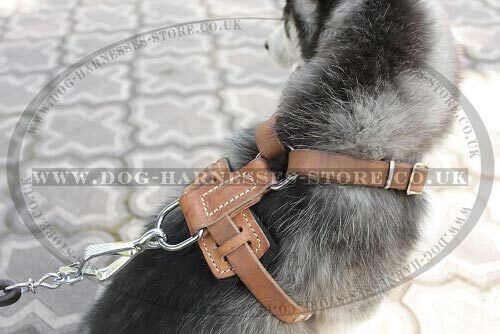 The handle is placed on the back of the harness. 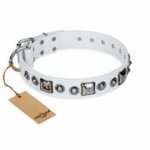 It is reliably stitched and won't tear off even at heaviest loads. 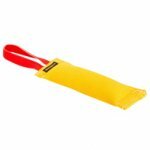 The handle is durable, but very convenient to hold. It won't rub or harm your hand. Ergonomic design of the handle provides its comfy use. 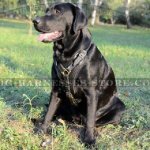 Choose the harness with handle if your dog needs to be controlled with confidence. 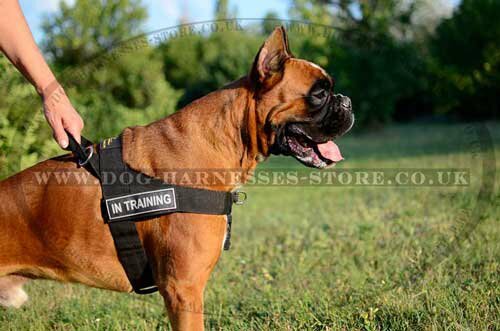 A harness without handle is suitable for calm, well-trained and good-mannered dogs. 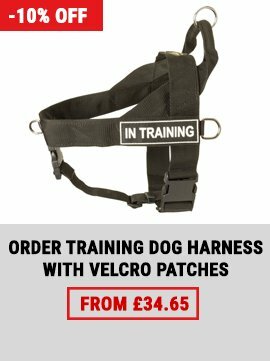 This is the harness for even-tempered dogs that obey and understand you at once. 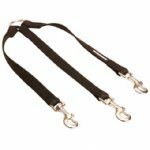 The harness with no handle is ideal also for small dogs and puppies. 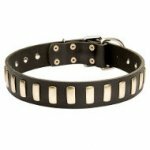 The harness itself will be enough to control a little dog reliably. 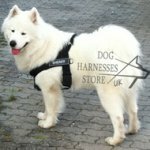 You can use the harness without handle for medium and large dog as well. 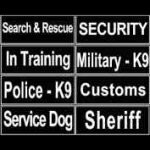 It is good for everyday activities and for various kinds of training, sport and work also. 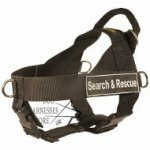 Both variants of the harnesses are of selected quality and thought out design. Please, write us if you have any questions.